The Cosumnes Community Services District has announced that the perennial favorite Hot August Nights concert series is returning. The four week Friday night concerts starts on August 4 and runs through August 25. The concerts, which will be held at the Laguna Town Hall, 3020 Renwick Ave., will start at 6:30 p.m. 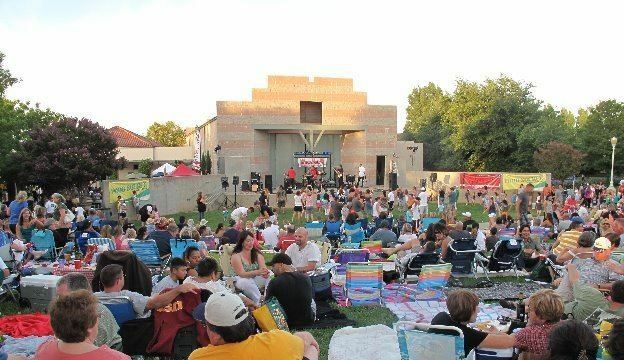 This years scheduled performers are the following"
This free concert series is sponsored in part by Kaiser Permanente and the City of Elk Grove. Food will be available for purchase from local vendors and children’s activities and other concessions will be offered at varying costs. Please note that access to the courtyard and amphitheater will not be allowed before 5 p.m. Blankets and chairs placed before 5 p.m. will be removed by staff. For the comfort and safety of all guests, only blankets and low-back chairs are allowed, smoking is not permitted, and pets are not permitted (except service animals). Police remind residents that the 10 p.m. city curfew for minors will be enforced during this event. Alvin and Amy Bartholomew Park, located southeast of Laguna Town Hall, will be closed beginning at 5:30 p.m. on each event date for safety reasons. For more information, visit www.yourcsd.com, follow Cosumnes CSD Parks and Recreation on Facebook, or call 916-405-5600 or 916-405-5300.